As a business ourselves, we at Kaizen know just how hard it can be to keep everything organised. Especially client details. Finding places to put forms and documents, it can all be a bit of a hassle. How often have you misplaced a form or a vital document? You may not want to admit it, but you have probably done it too. Right? Don’t worry. We aren’t here to judge you. We have all misplaces some important piece of paper at some point. Trust us, it happens a lot. When it comes to your professional life however, misplacing a form or document can have dire consequences for your business. Any car dealership owner will know just how important it is to keep all the documents and information regarding individual clients safe, and more importantly, together in one place. Which is why we put our heads together and have come up with the perfect solution! Here at Kaizen, we offer bespoke client deal files so that you can keep all the relevant information for each individual client in one place. That’s right. It really is as simple as that. Our client deal files are over sized folders, which allow you to keep all those vital customer contact details, vehicle tax books, customer appraisals, vehicle appraisals and any other forms and documents for each individual client safe and together. Kaizen’s client deal files are the ideal solution for keeping large numbers of client files safe, not to mention managing them in a secure manner. Our client deal folders are printed on 300gsm uncoated paper stock - single sided in black ink - and are punched to shape. We then finish each file with a glue strip, which allows for easy assembly. It takes just seconds to set up our client deal files. Trust us. We tested it and our record is under five seconds. We even tailor our printing to you. Client Deal Files are designed to be bespoke for your needs. If you use any dealer management systems, such as Kerridge or Pinnacle for example, we can leave specific areas for the customer’s ID or any management specific information required. Like many of our products here at Kaizen, our client deal files are printed in bulk. Printing this way means that you get a great price while ultimately saving money in the long haul. Our prices start at £490 for 250 files and goes up to £1250 for 2000 files. If you have any questions or queries about our client deal files, our excellent customer service team are on hand to help. So give us a call on 028 9002 2474, and we can help answer any issues you have. 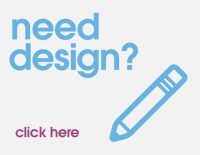 If you have a specific design that you would like to talk to us about, then email us at customer.service@kaizenprint.co.uk with a description of all your project requirements, your deadline and a brief of the design in question. We will then be able to provide you with an estimate for your design.